The heart of the Old South, South Carolina is amazingly diverse for a state that ranks 40th in size in the US. The Blue Ridge Mountains delineate South Carolina’s northwest boundaries with North Carolina and Georgia. The Piedmont region is rolling hills, the aptly named Sandhills region is in the central part of the state, and the Outer and Inner Coastal Plains sweep to the Atlantic Ocean. South Carolina’s state capital, Columbia, is its largest city, with coastal Charleston coming in second. If you’d like to price out a South Carolina shipment, then take advantage of our web-based quotation tool now. South Carolina’s diversity extends to the state’s climate. Summers are uniformly hot, but its coastal areas have mild winters, while the inland and upland areas of South Carolina see cooler winters with freezing rain and occasional snow. Freezing rain can make conditions hazardous for travel in the winter; bridges in the state are often marked “bridges freeze before roadways” for this reason. Tropical storms and spring rains are also common, although the state sees less hurricane and cyclone conditions than nearby North Carolina. Although tourism and the related service industries account for most of South Carolina’s economic output, the state has several flourishing production industries. Agriculture is important to the state economy, with major products including tobacco, soybeans, rice, hay, poultry, cattle and dairy products. Other major industries include textiles, paper products, chemical products and automobiles. BMW is one of the state’s major automotive producers, and Domtar, the largest producer of freesheet paper in North America, is headquartered in South Carolina. South Carolina’s agricultural, textile, paper and automotive products are most often shipped to California, Texas, Washington, Illinois, Ohio and Florida. Shipping to these states usually means shipping by truck. Transportation. 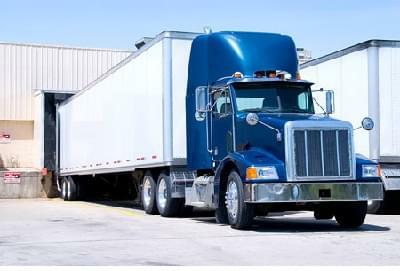 Permits in South Carolina are often dependent upon the route and type of load being shipped. For the most current information about permitting for super loads and pilot car requirements, see the SCDOT website for documents and contact information. Legal loads for South Carolina are as follows: length is restricted to 60’-0”, width is restricted to 8′-6″ for state roads, height is restricted to 13’-6”, weight is restricted to 80,000 pounds GVW, and overhang is restricted to 3′-0” in the front and 6′-0” in the rear. Truck travel in South Carolina is restricted to one-half hour after sunrise and one-half hour before sunset, Monday through Saturday. Travel is prohibited on Sunday unless clearly stated on the issued travel permit. Travel is prohibited on the following days: New Year’s Day, Memorial Day, Independence Day, Labor Day, Thanksgiving Day and Christmas Day. On days before holidays where travel is prohibited, you may not travel past noon; on the day after holidays where travel is prohibited, you may not travel until after noon. South Carolina also has restrictions on truck travel in high traffic density areas. In these areas, truck travel is prohibited from 7:00am to 9:00am and from 3:00pm to 6:00pm for trucks in excess of 14′-0” width. Trucks 16′-0” width or over are restricted to travel only between the hours of 9:00am and 3:00pm on Saturdays, with no travel before or after permitted in any of the high traffic locations. Contact the SCDOT for more information about areas where travel is restricted. 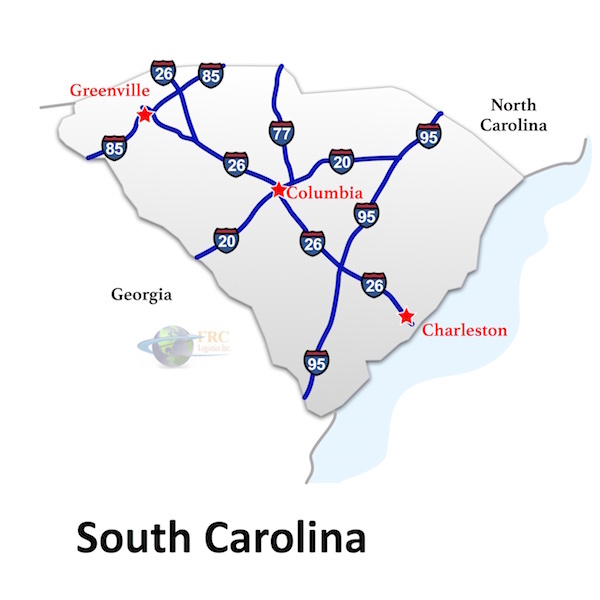 Several major interstate highways pass through South Carolina, including I-20, which runs from Florence through Columbia to Aiken; I-26, which runs from Charleston through Columbia to Spartanburg; I-77, which runs from York County to Columbia; I-85 which runs from Cherokee County to Oconee County; and I-95 which runs from Dillon County to Jasper County. For information about road conditions, see South Carolina’s 511SC website. To price out a South Carolina shipment, try our fully automated, instant quote generator.